The growing body positivity movement has recently sparked many heated conversations within the apparel industry: Remember when Athleta caused controversy after using standard-size women to model its plus-size range? 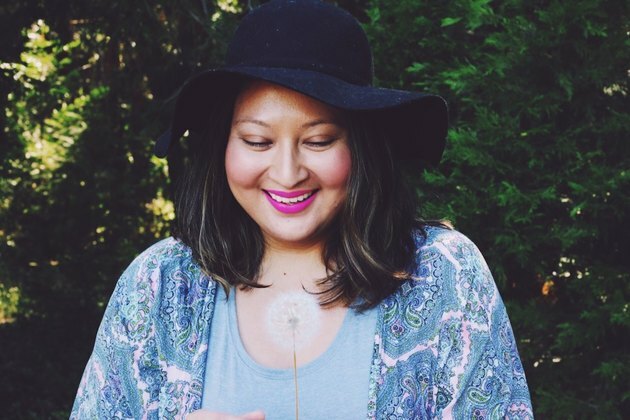 Kmart is the latest brand to address consumers’ qualms by rebranding its “plus size” section as “fabulously sized,” in a move it claims is designed to promote inclusivity and sensitivity to people who may not be comfortable with the original plus-size labels. This is a win for the body positivity movement, which encourages people to accept their bodies as they are and see them as worthy, no matter the shape or size. This can be a challenging task, especially when most retailers continually use divisive terminology — like “plus size” — which suggests that bodies outside the incredibly strict range of sizes 0 through 8 are abnormal or “other.” Ask any average American woman, who is typically a U.S. size 16 to 18, and she will likely admit to oftentimes feeling marginalized while shopping — and Kmart seems to want to change that with its new inclusive labeling. Additionally, Kmart’s newly released “I Can” campaign promises to extend the sizing of each of its in-house brands and to stock the full range of sizes at all store locations. While some of the items will be available in a special “fabulously sized” section, many will be mixed in with straight-size clothing. “Fabulously sized” was introduced at a store in Des Plaines, Illinois, and is in the process of rolling out nationwide. From the modeling industry’s denouncement of the term “plus size” to unretouched ads by large names like Lane Bryant and Aerie, inclusivity and positivity is becoming more the norm than an anomaly. The media industry is also playing an important role, with Allure magazine announcing it will stop using the term “anti-aging,” which attaches a negative connotation to a completely natural process, and fitness magazines focusing on terminology that emphasizes strength rather than thinness. Remember that health should always be a priority over appearance — and here are 10 things you should never say to an overweight person. Do you believe there should be a divide between straight-size and plus-size clothing? What are some of your favorite body-positive retail and media changes? Please let us know in the comments section below. Is the No Makeup Revolution Empowering Women?